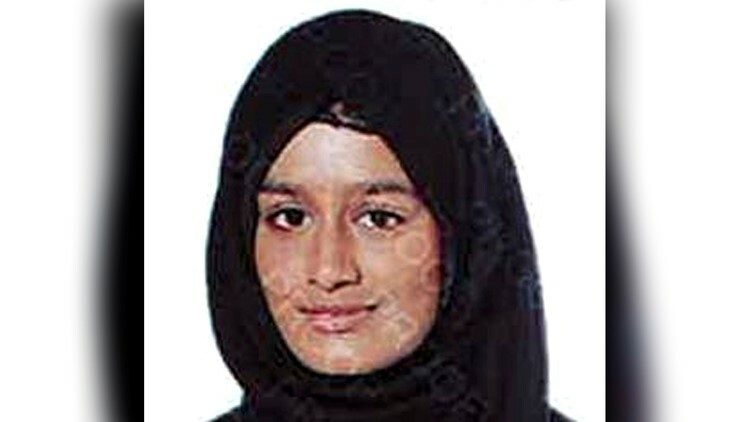 Shamima Begum says she wants to come home after leaving the UK to join Islamic extremists four years ago. But returning could be problematic. LONDON, UK — A pregnant British teenager who ran away from Britain to join Islamic State extremists in Syria four years ago has said she wants to come back to London, but her path home is not clear. Shamima Begum told The Times newspaper in a story published Thursday that she is nine months pregnant and worried about the health of her unborn child. "In the end, I just could not endure anymore," she said, describing the death from illness and malnutrition of her first two children. "Now all I want to do is come home to Britain." The 19-year-old Londoner was found by the newspaper in a refugee camp in northern Syria. She was one of three schoolgirls from the Bethnal Green neighborhood who went to Syria to join IS in 2015 at a time when the group's online recruitment program lured a number of teenage girls to its self-proclaimed caliphate. They went to join a fourth teen from Bethnal Green who had already joined the extremists. Begum told the newspaper all four married Islamic State extremists in Syria. One of the four is believed to have died in an airstrike. Begum says the other two were alive as of two weeks ago. She told the newspaper she didn't regret joining the group and wasn't troubled the first time she saw the severed head of one of its execution victims — comments that will likely make it more difficult for her to convince British authorities she is ready to rejoin civilian society. U.K. Security Minister Ben Wallace told Sky News it was "worrying" that Begum did not express remorse. He said she would have known what she was getting into when she left London for Syria. He said the British public would be concerned about someone returning to a country that "they apparently hate" and stressed that "actions have consequences." It is possible she could face criminal charges if she returns to Britain. It is an offense to actively support a banned group such as Islamic State. She could also ultimately benefit from a government program designed to de-radicalize former extremists and help them integrate into society. She told Times reporter Anthony Loyd she knows she may face a hostile reception in Britain. "I know what everyone at home thinks of me as I have read all that was written about me online," she said. "But I just want to come home to have my child. I'll do anything required just to be able to come home and live quietly with my child." British officials believe roughly 900 Britons went to Syria to join the extremists' cause. Of those, they believe around 20 percent died and about half of the survivors have returned to Britain.